Dinner time is always a challenge. I try to find Quick and Easy dishes to make after working all day and dreading slaving over a hot stove. These Quick and Easy Tacos are so easy to make and take literally 7 minutes from start to finish. Best of all these are kid friendly and make great left overs as well. 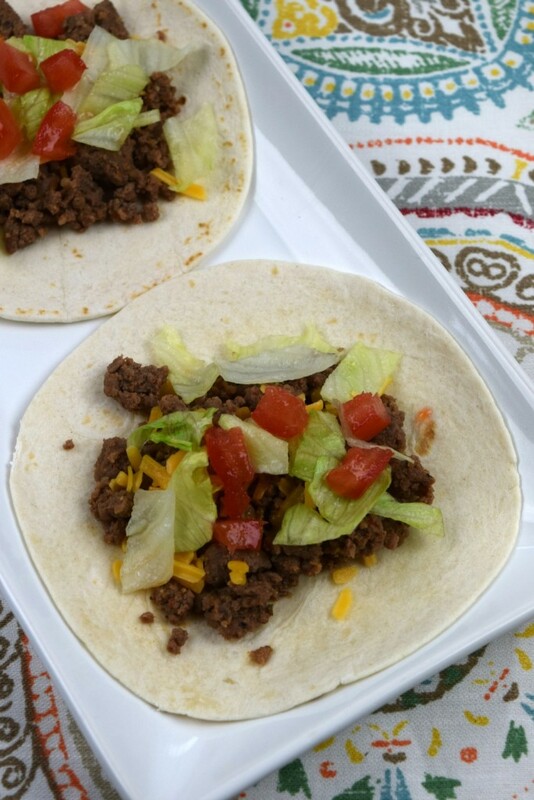 These Quick and Easy Tacos are filled with delicious ground beef, fresh tomatoes, fresh lettuce and a dallop of sour cream for the ultimate dinner experience. Who doesn’t love a easy dish right? This is something you can whip up several times a week and it’s a great way to serve your family something delicious and fast. 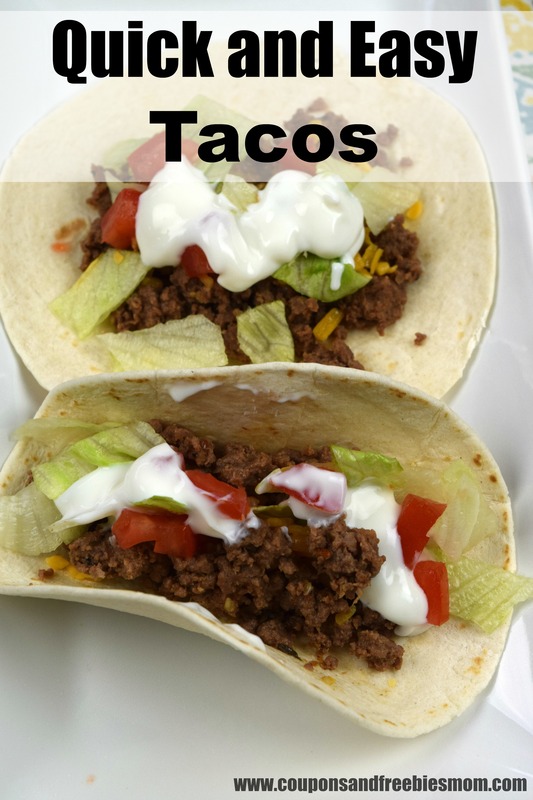 Best of all these tacos can be topped with any of your favorite ingredients to make them suitable for your family. Enjoy. 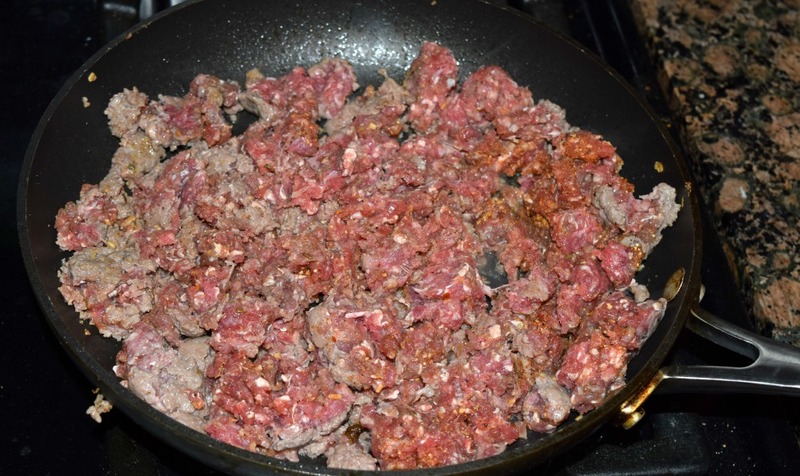 Place your skillet on the stove over medium heat and place your ground beef in the skillet. Allow to cook for about 2 minutes on one side and than flip over. Cook it until it’s browned all the way through this took about 5 minutes for me. 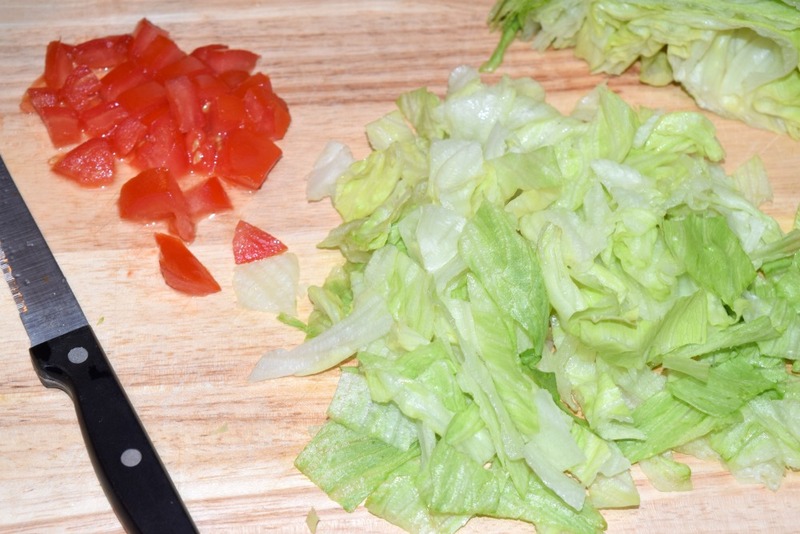 Now lay your flour tortillas on a plate and top off with your delicious cut tomatoes, lettuce and a nice spoonful of sour cream. Fold it up like a taco and enjoy. 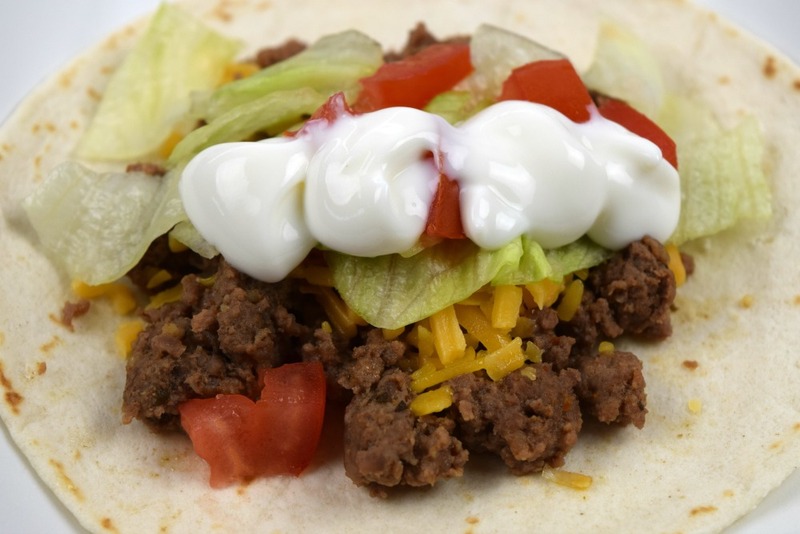 If you love these Quick and Easy Tacos be sure to check out all the other delicious Recipes!